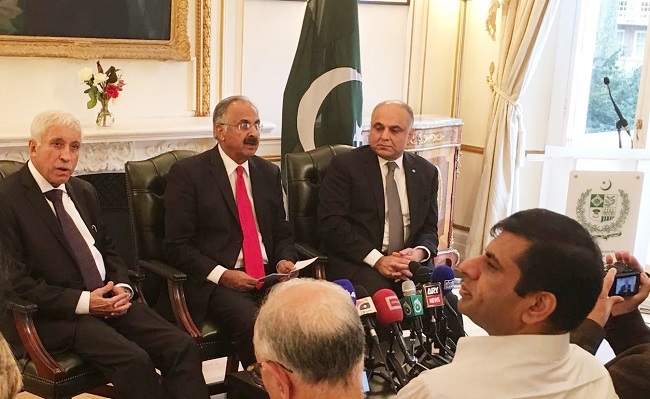 Prime Minister’s Special Envoys on Kashmir Senator Lt. Gen. (R), Abdul Qayyum,and Qaiser Ahmed Sheikh MNA, briefing the media on Kashmir at Pakistan High Commission, London on 20.10.2016. H.E. Syed Ibne Abbas, Pakistan High Commissioner to the UK, is also present on the occasion.